Bodog accepts wagers from United States residents. Bodog, launched in 1994 and was shortly known as Bodog Life because of a branding dispute, was one of the first online sportsbook providers. Using their easy online sportsbook software, you can bet on every major sport and leagues world wide, as well as place future bets, proposition bets and live bets. With all information provided, like match-ups, previews, statistical analysis and detailed news about sports and players, Bodog Sportsbook helps you making smarter picks. Place your bets at Bodog now! No matter if you are a small bettor or one that can afford to wager the maximum bet of $2000, Bodog has the right odds. 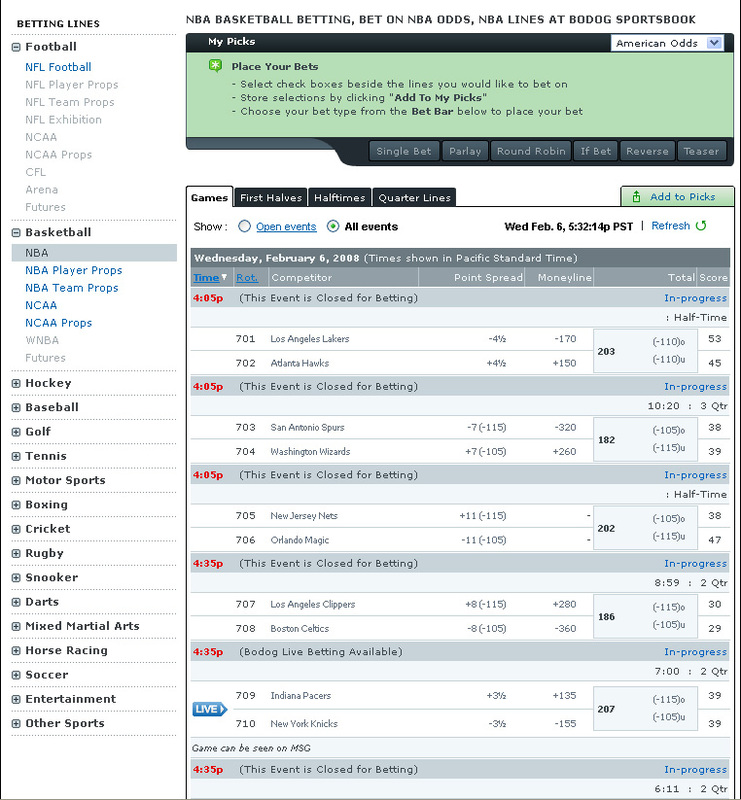 Get as much as -110 on 3 team/10 point football teasers and 4 team/13 point footbal teasers, as well as -120 on 4 team/10 point basketball teasers, where most of the online sportsbook sites charge between -130 and -150!. When you have a problem, a call to Bodog's friendly customer desk is the solution and they are open twenty-four hours per day, seven days per week. You will actually be helped by someone who understands the English language, as they are one of the few sportsbook sites that haven't outsourced their customer service to a foreign country. Besides calling, you can also send them an e-mail using the form on the Bodog website. Their customer support policy, which won several awards in the industry, insist that all e-mails are replied within 15 minutes and calls are answered straight on the first ring. 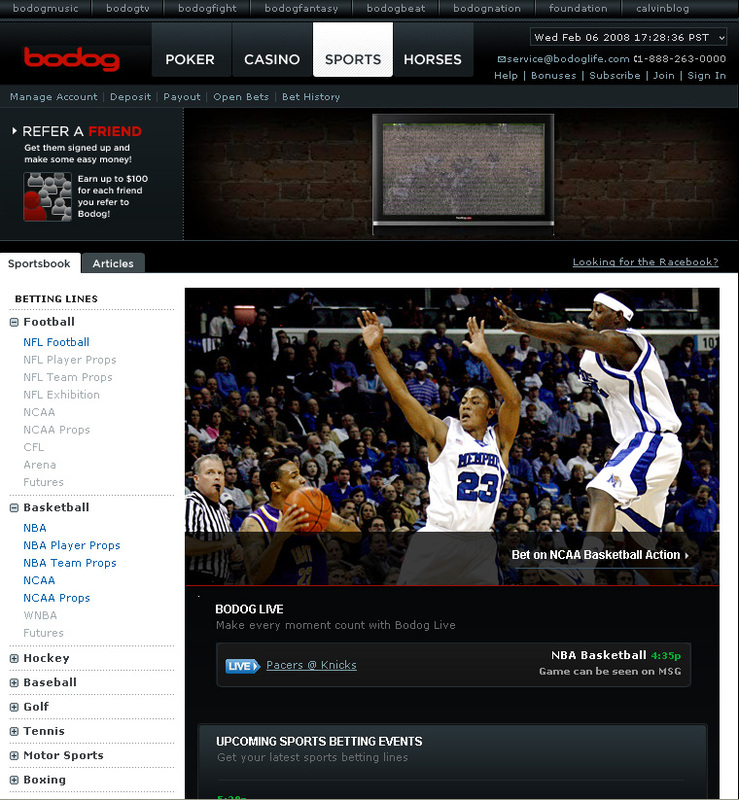 EuroSlam Sports Book offers one of the best Bodog Sportsbook bonuses available! Placing bets rolling over the bonus amount are required to release your bonus for withdrawal from Bodog Sportsbook. Rolling over means that you have to bet the total amount of your deposit (including the bonus) before you can make a withdrawal request. Please beware that all the bonus funds, including the money earned by wagering the bonus will be cancelled, if you make a withdrawal request before the bonus is clearer! Of course, the money you deposited will not be forfeited.